- Designed for portability and ease of handling. 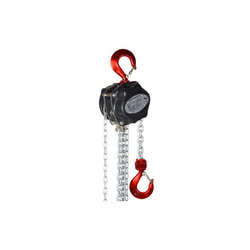 - Alloy steel load chain. - Fully pocketed S.G iron casting load chain wheel mounted on double ball bearing. - Hand chain wheel cover. 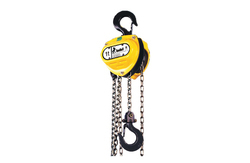 We are reckoned firm actively involved in providing the first-class range of Heavy Duty Chain Pulley Block. These are available at nominal costs. Owing to our ethical business policies, we have maintained our name as the prominent firm involved in offering Triple Spur Gear Chain Pulley Block. Our offered range is widely demanded in the industry for its features such as corrosion resistance and optimal strength. An ISI Marked Manufacture from an ISO 9001 Certified Company Bringing you assured q..